BA (Hons) in Health Promotion student Lisa Harold talks to WIT following her time which involve getting out into the community and volunteering. I have always had an interest in health and well-being was looking for a course which revolved around helping people also. The SPHE/experiential element of the course really appealed to me as the rote learning I had experienced in secondary school did not suit me and I felt there were other, more creative ways I could learn. 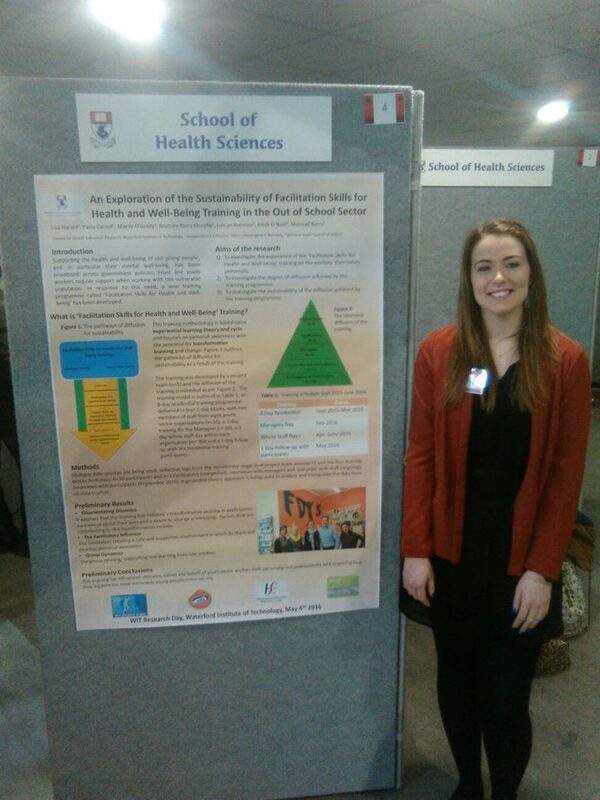 I was also attracted to the variety of health modules on offer and the element of work experience in 3rd year. I had decided I wanted to do a health degree and my options were WIT or UCC. I decided on WIT as Waterford is a smaller city and thought the college would be more of a close knit community and class sizes would be smaller than UCC, therefore having more attention from lecturers and it would also be easier to meet people. I loved the course as there were a variety of modules which really suited me. I got a taster of lots of different health topics from nutrition to physical activity, sexual health promotion and mental health. There are good practical components which involve getting out into the community and volunteering which is a great experience and something I have still kept up. The class size was great also as there were about 25 people and we became a really close group. I would advise someone to consider this course if they have a general interest in health and advocating on behalf of people. There is such a mix of modules you are bound to find one or more that you are interested in. I would say the course is more theory based with some practical elements. I particularly enjoyed the group elements such as SPHE and the practical modules like Motivational Interviewing and Working with Key Populations. I would advise applicants to think about what you would enjoy doing and have a look at the modules in the course. If it is possible to talk to a lecturer or student currently doing the course or who has previously graduated this can be a great way of getting an insight into what the course is like.